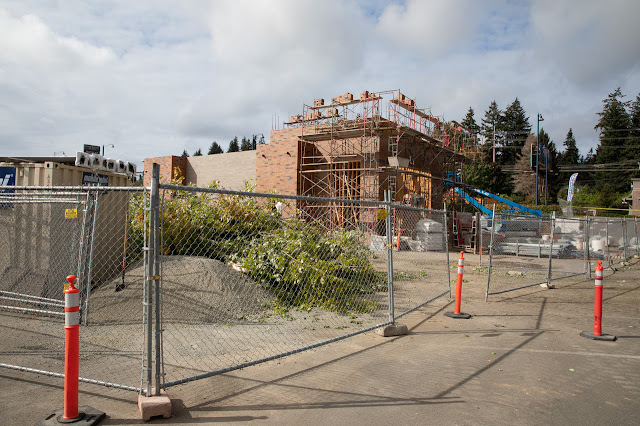 The new Starbucks is progressing quickly at Parkwood Plaza, N 152nd and Aurora. The building replaces a Broiler Bay restaurant. 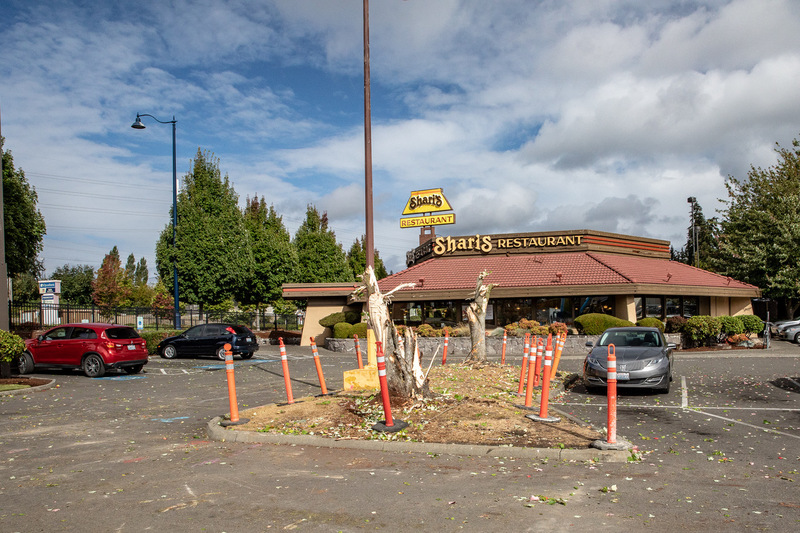 Nearby trees have been removed from the small planting island between Starbucks and Shari's Restaurant.